I taught elementary school until my first child was born. There was a heartfelt need to stay connected to education in some way, so I started writing teaching tips, activity puzzles, stories, and poems for magazines. One of the editors called and asked if I'd be interested in creating a reproducible book that teachers could use with their students. That project led to about twenty more books of printables and activities for classroom use. Once those educational companies no longer existed, I concentrated on volunteer work. During that time, my husband entered a marathon to raise money for the Leukemia Society. At a moment of insanity, I signed up, too, and went from 0 to 26.2 miles in about three months. After several charity runs (while training in the Alaska cold back then) I decided there had to be a better way for me to raise money for good causes. So, with a plan to donate all the earnings from my first book to charity, and some of my profits from subsequent books, I took up writing again, this time concentrating mostly on picture books. 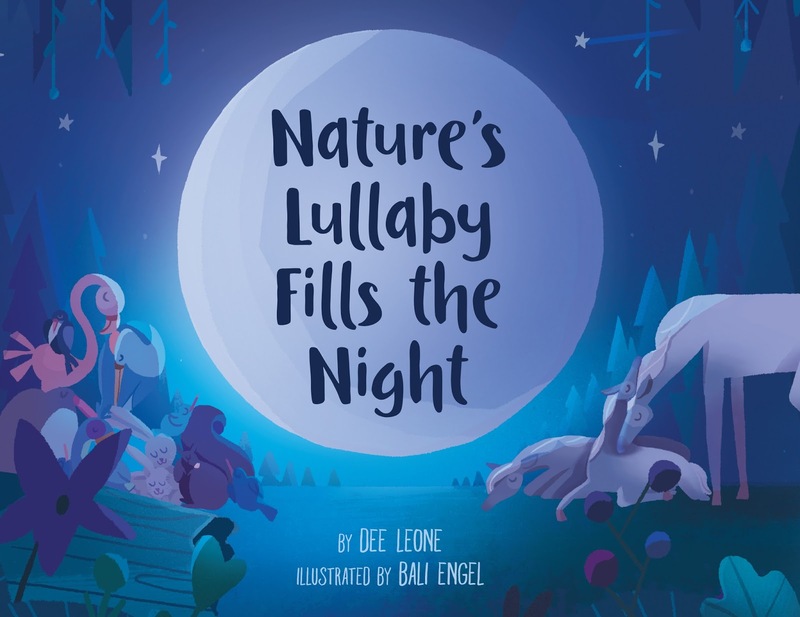 Congrats on your recent release, NATURE'S LULLABY FILLS THE NIGHT. Tell us about it and what inspired you. In my latest picture book, night falls and the world sings a lullaby. From moths fluttering their powdery wings to willows shushing, shushing in the breeze, tender nature scenes sweep across land, sea, and sky to soothe and calm little ones. The illustrations by Bali Engel are breathtakingly beautiful and simply magical. I absolutely love the color palette! I enjoy taking photos of nature ... from close-ups of flowers to wide panoramic vistas. I've had the good fortune to travel to incredible places, so when I was looking at the images I captured of swans on a glistening lake in Slovenia, leaping dolphins off the coast of New Zealand, and others, I was inspired to write about them. Each manuscript has been different. For my recent title, it was short and sweet. An editor liked a book in rhyme that I sent but asked if I had other projects because the publisher had recently acquired some similarly-themed books. I sent her a couple of manuscripts. She wanted to work with me on Dough Knights and Dragons, which I hadn't pitched yet to any other publisher. Another editor at the house surprised me by saying she wanted to work with me on a different manuscript I sent the first editor. It was Nature's Lullaby Fills the Night. Getting two book contracts at once without having to go through a long query process was incredibly fulfilling, and both editors were a dream. 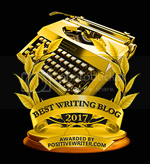 to refuel in some way (by gathering with SCBWI members, reading encouraging blogs like Kidlit 411, attending workshops, getting feedback during critiques, etc.). Those stop doubt from letting me "hit the wall" in this publishing marathon. What's the hardest part of writing picture books for you? Taking an idea from one of my lists of brainstormed topics and actually turning it into a story is difficult for me. I also enjoy word play, puns, and figurative language, but sometimes my desire to include as many of those as possible gets in the way of the story arc. Then, of course, there's keeping the word count down. All three of those are equally hard for me. LOL. Does reading other people's picture books as part of my "research" count? Well, I have one whole page of a YA manuscript done! The voice isn't something I've discovered yet, but the concept is incredibly intriguing to me. 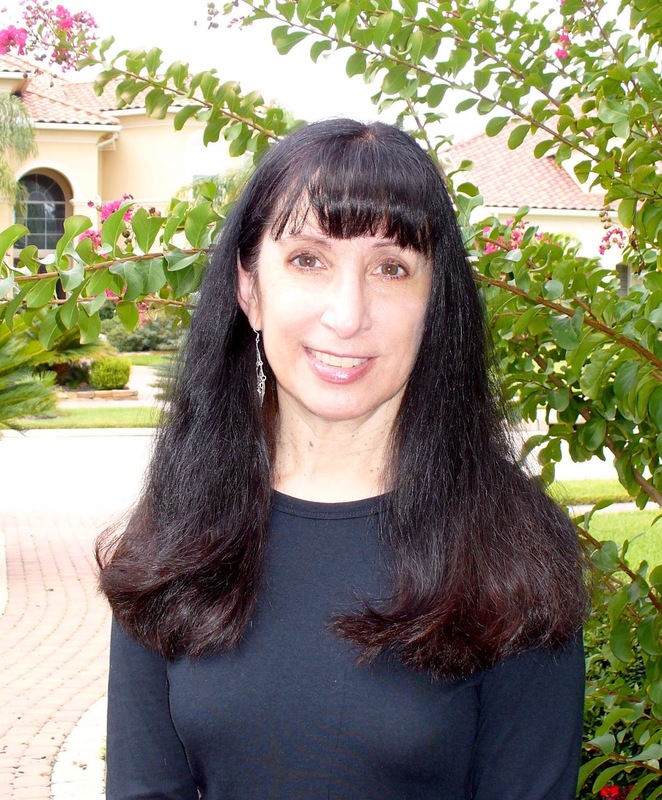 I'm also working on fiction and nonfiction picture books, a middle-grade revision, silly poems, and screenplays. I rotate among projects constantly. I can put my foot in my mouth... literally and figuratively. When I was a kid, I noticed a little worm in a piece of fruit I was handing to my uncle, but I gave it to him anyway. My mom had just bragged about our plum trees, and I didn't want our family to be embarrassed by our imperfect fruit. Though I still feel guilty about the incident, I'm happy to say that my uncle is a healthy octogenarian. Perhaps that's due to the extra bit of protein (and the fact that he knows nothing about it.) I guess you could say the critter was a bookworm. It's now part of my MG manuscript. Another thing people don't know about me is that I don't like to type. Some fingers are faster than others and I constantly have to check my work for reversed letters. Imagine how many times I have to change aslo to also or cna to can! 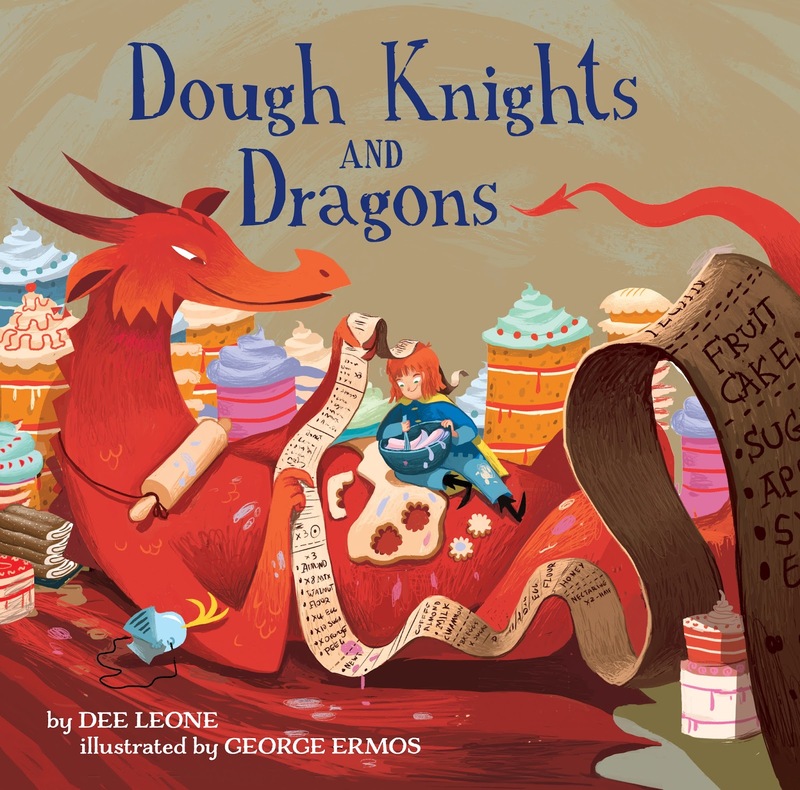 In addition to Nature's Lullaby Fills the Night, Dee Leone is the author of Dough Knights and Dragons (Sterling) and Bizz and Buzz Make Honey Buns (Penguin). She has had more than 20 reproducible books published in the educational market, covering topics such as language arts, science, and holidays. Dozens of her word puzzles, teaching ideas, activities, short plays, and stories have appeared in magazines. Articles she's written about Disneyland can be found online. Dee enjoys taking photos of swans gliding on glistening lakes, willows bending in the breeze, and velvet petals soft and light. To see some of the images that inspire her, visit deeleone.com. I'd also like to look at the dragon book--great cover! Beautiful! I can't wait to see the rest of the books! Congratulations on both! The colors are so peaceful and cooling. This book is beautiful. Thanks for the interview. Thanks for sharing your sweet lullaby PB. I love the soothing illustrations. Such an interesting journey from educational resources to marathon (!) to writing all genres! Thanks for sharing. Dee, your latest PB sounds and looks so sweet and beautiful! 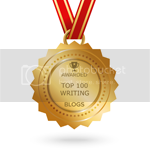 I want to thank you for following me back on Twitter in 2014 when I started my writing journey. You were one of my first inspiration. Can't wait to check out your books! Love the title but will find a way to read all three. Thank you for the post. Congratulations, Dee! 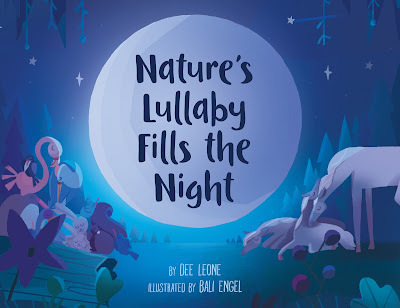 I can't wait to read Nature's Lullaby Fills the Night and get inspired by your work! Inspirational! Congratulatiion on your new book! Congratulations on your latest book! Looking forward to reading it.